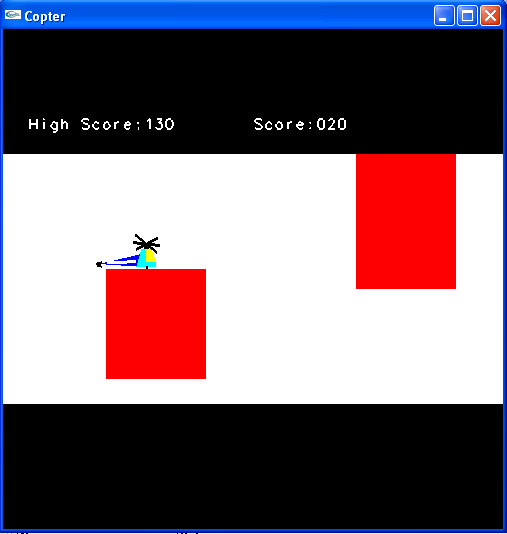 A Computer Graphics Mini PROJECT ON COPTER GAME Submitted in partial fulfillment of the requirements for the award of degree of Bachelor of Engineeringin Computer Science and Engineering - Submitted by SANTHOSH of Vivekananda Institute of Technology, GUDIMAVU, KUMBALGODU Bangalore. This Computer graphics Project is inpired by most famous game on Android - Flappy Birds.It is similar to that insded of touch, we are using mouse button and bird is replaced by the helicopter. This section attempts to bring out the requirements and specifications as given out by the Vishweshwaraiah Technological University for the completion of the package. Minimum requirements expected are cursor movement, editing picture objects like point, line, circle, ellipse and polygons. Transformations on objects/selected area should be possible.. User should be able to open the package do the required opearations and exit from the environment. Good user interface, which can be GUI ,Menu based, should be provided.. Should use all most all the graphical input technologies for efficient programming and interact through various input devices. Should be a device independent package that is able to compile and create an executable. The interface for the 2D package requires for the user to have a mouse connected, and the corresponding drivers software and header files installed. For the convenience of the user, there are menus and sub –menus displayed on the screen. The Menus consists of various operations related to drawing on the area specified. It also has the 'clear' option for clearing the screen and also change the background color. Palettes Color palette, which displays the different colors available to the user. He/she can pick the required color by clicking anywhere in the window specified. The standard output device, as mentioned earlier has been assumed to be a color monitor. It is quite essential for any graphics package to have this, as provision of color options to the user is a must. The mouse, the main input device, has to be functional. A keyboard is also required. Apart from these hardware requirements, there should be sufficient hard disk space and primary memory available for proper working of the package. The editor has been implemented on the windows platform and mainly requires an appropriate version of the compiler to be installed and functional. Though it has been implemented on windows, it is pretty much platform independent with the restriction that there is support for the execution of C++ files. This project developed uses basic Brute force methods to work. This contains a varying x-coordinate and y-coordinate for every point of the object drawn with two variables holding 0 displacements initially. This displacement decreases if mouse is passive else if left mouse button is held down then x-displacement is increased and if right mouse button is held down y-displacement is increased hence the copter is controlled on the scenario. The same is with the obstacles, there are 4 pre-defined obstacles and a random function which selects one of the 4 pre-defined obstacles which has to be released and there is no y displacement for the obstacles. There may be at the most two obstacles at any given time which are controlled by two index variables. Switching is of the variables is done whenever an obstacle leaves the scene. There are two limits one at the top and the other at the bottom whose values are updated every time according to the location of the copter i.e. whether the copter is above or below an obstacle or not. There are 2 more limits which are unaffected one is to the right extremity and other to the left extremity which note that the chopper does not go beyond the window extremes. 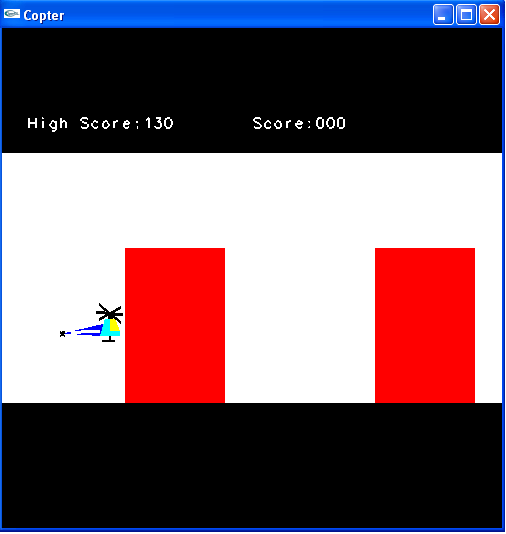 A function is maintained so as to display the score of the player. Here we have made use of concepts of translation and scaling along with use of push and pop matrix functions and conversion of integer to ascii for displaying numbers. We have even used a temporary file so as to maintain track of the high score scored, the file gets created if it does not exist and initializes the high score to 0 for the first time after which the high score is automatically read from the temporary file. We have maintained an exit flag so as to take decision whether the player is still playing or whether he is out in the game so as to control the end of the game. If this flag is set the players score is shown on the output screen. We use the concept of Double buffering so as to avoid flickering image rendering. A mouse function is used for giving input interfacing. • Improved memory requirements may allow us to introduce more obstacles and other external environments. • This may also be upgraded to develop 3-D aircraft simulations using 3-D model and some concepts of physics, lighting and perspective vision which were hindered in the current project due to time constraints. • This may also be interfaced with keyboard for movement and mouse for shooting thus implementing flight war game. • This may also be upgraded with sound effects so as to bring it to the interest of the user. 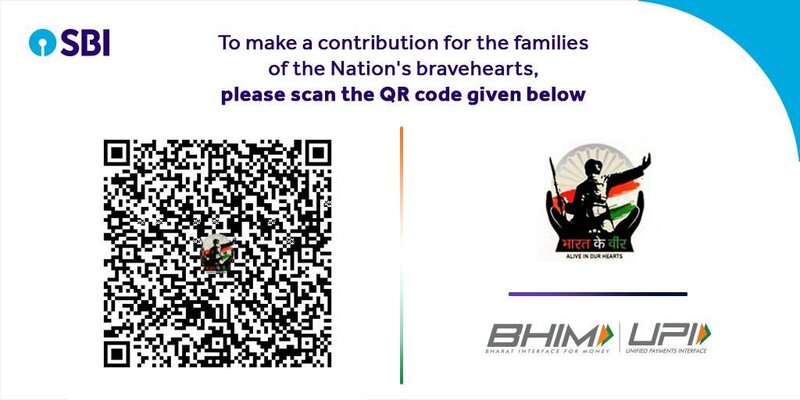 You can purchase this Project source code along with the Report at a minimal Cost of Rs 400 via Bank Transfer(Detials on the Payment page) or Rs 500 via Mobikwik or Paytm to mobileno 7022162923. To contact us before doing the payment else there will be delay in delivery.